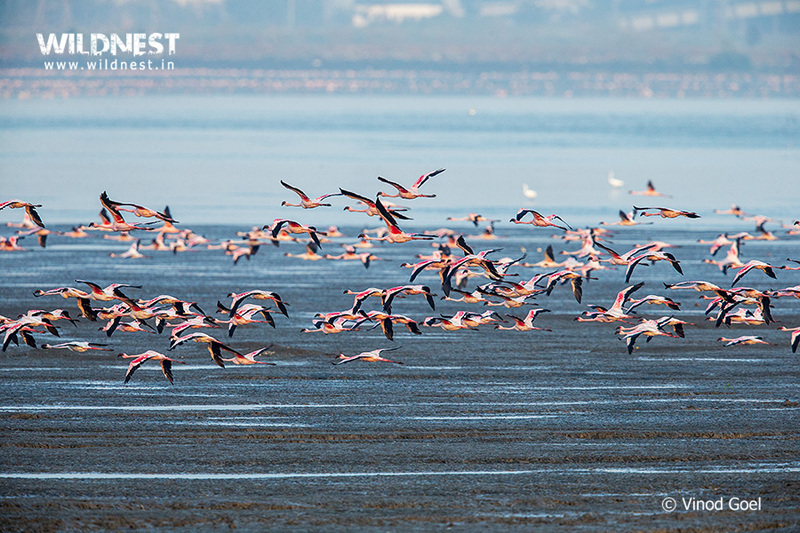 Every year, winter season welcomes thousands of our special pink feathered friends, – “The flamingos” with several other species of birds who visit the Mumbai city. 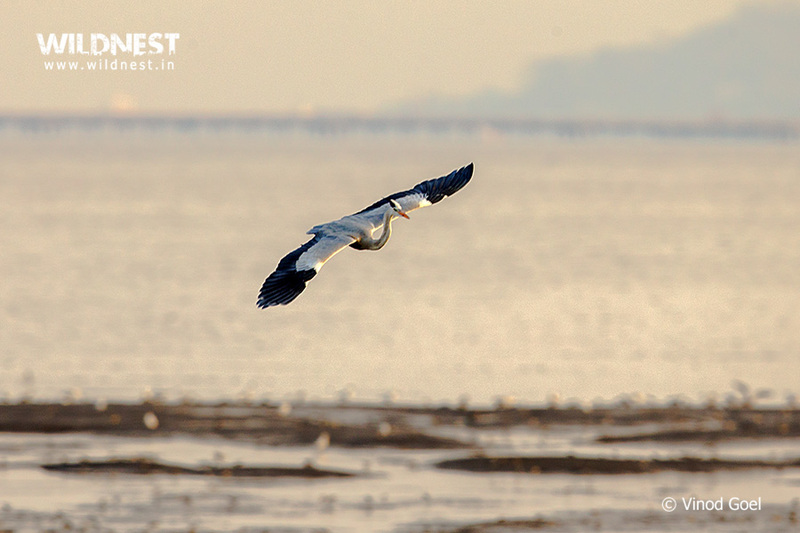 My trips to Sewri started a few years back with my family, extending into trips with enthusiastic friends who wanted to see these tall and beautiful birds. 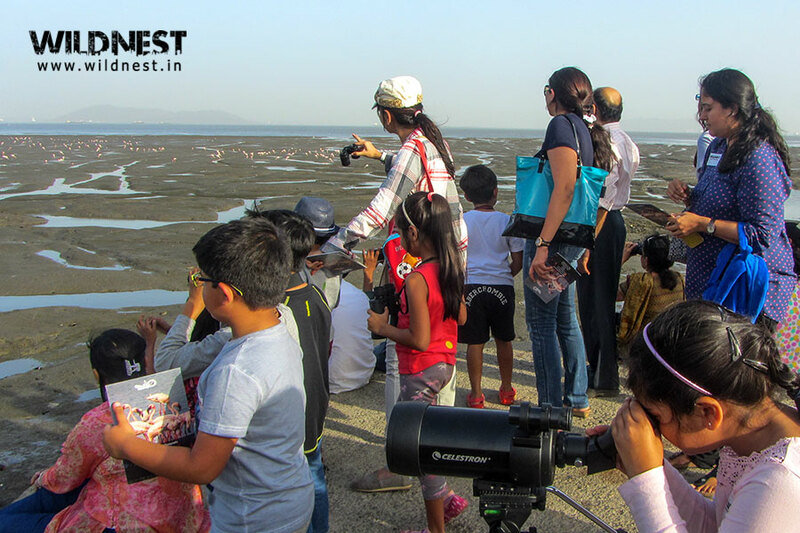 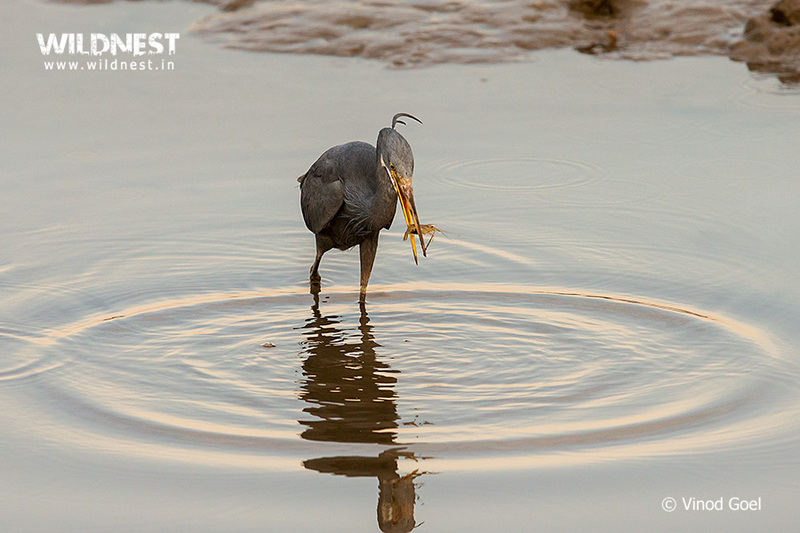 But it was only in 2015 that Wildnest organized its first tour for flamingo watching to Sewri. 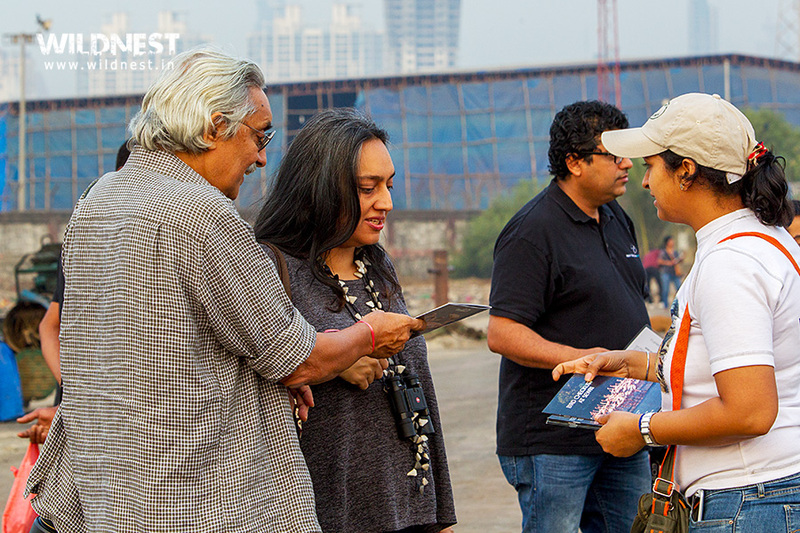 A great response and feedback from people in Mumbai encouraged us to do it again this year. 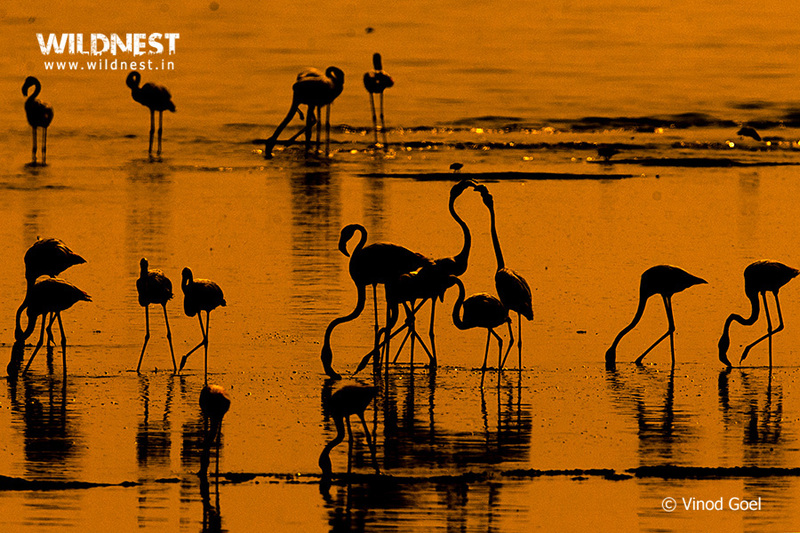 Click here to join our flamingo watching tours. 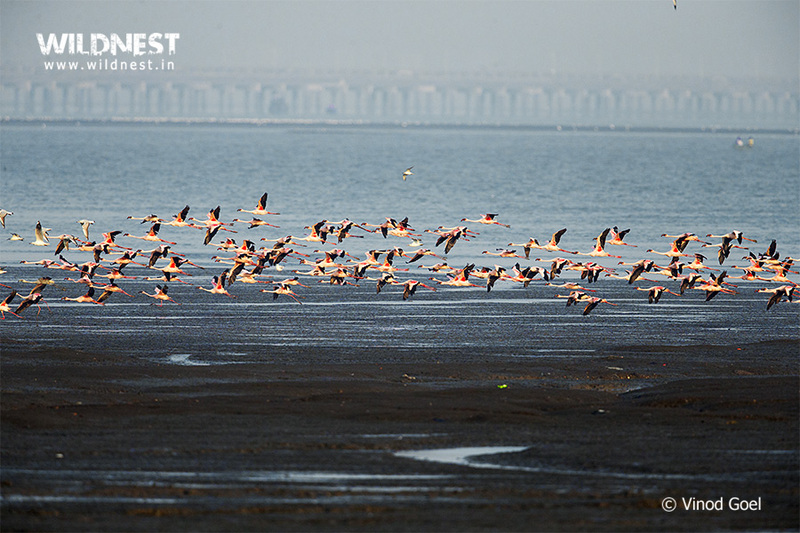 I must mention that there is definitely a greater awareness amongst the people in Mumbai, about the Flamingos in comparison to last few years and it can be seen from the amount of people visiting Sewri these days.Sewri is definitely not like any other usual birding place, which makes it even more interesting to visit. 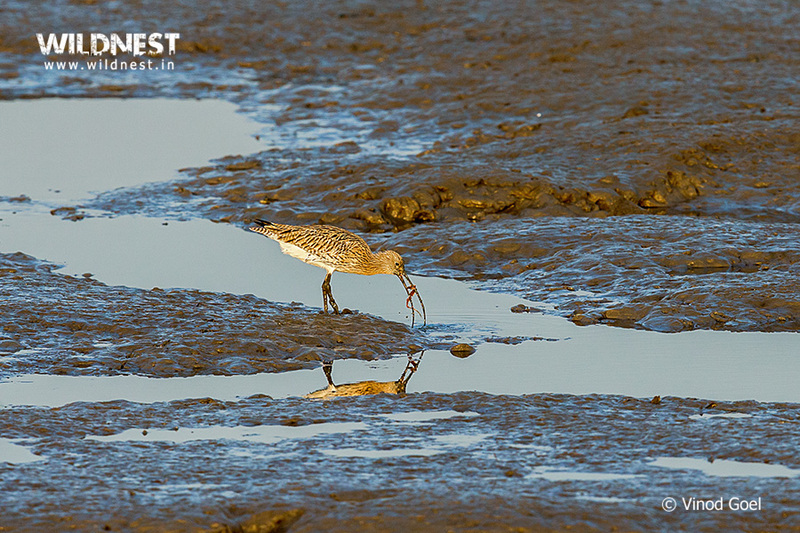 Surrounded by refineries on one side, these mudflats attract various other waders from other parts of the world during these months. 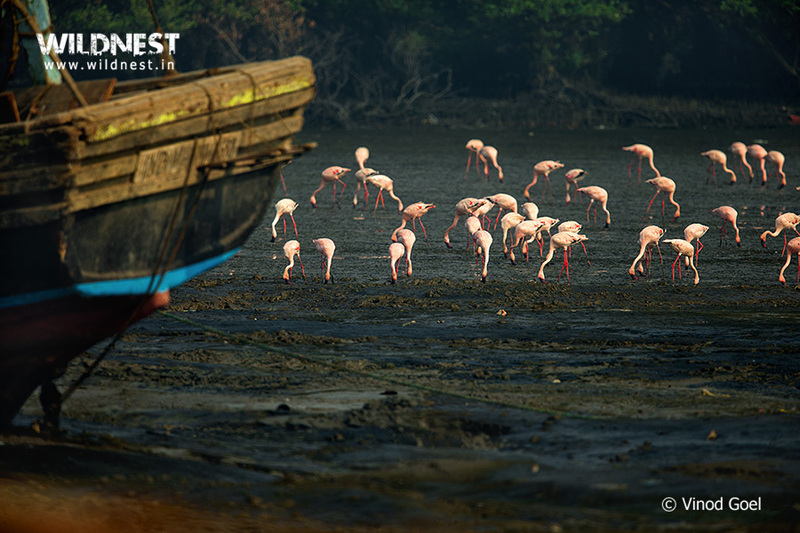 But the limelight is surely taken by Flamingos.For the first time in my life, I wished that the weekends should be longer and I could take as many people as I can, to admire their beauty.I started off with the mission to connect people withnature; these tours are just a small step to create awareness. 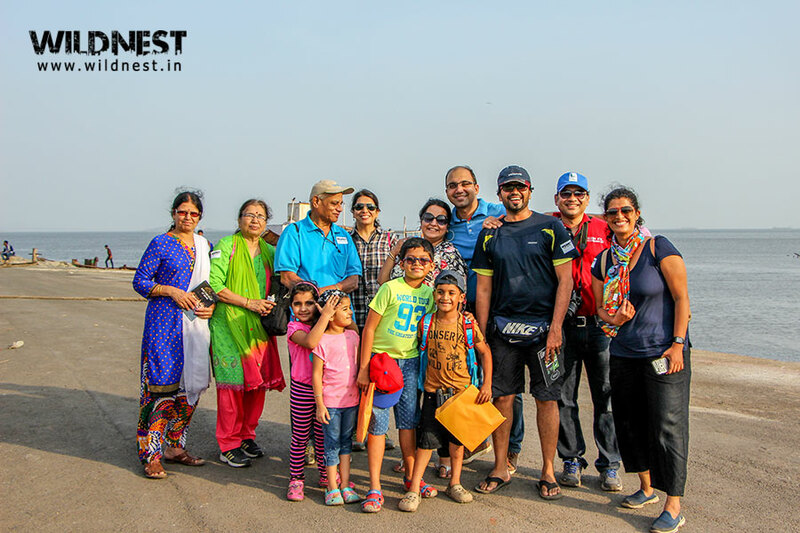 We encourage parents to get their children along with, for an exposure which will help in connecting them to the beautiful world of nature as early as possible. 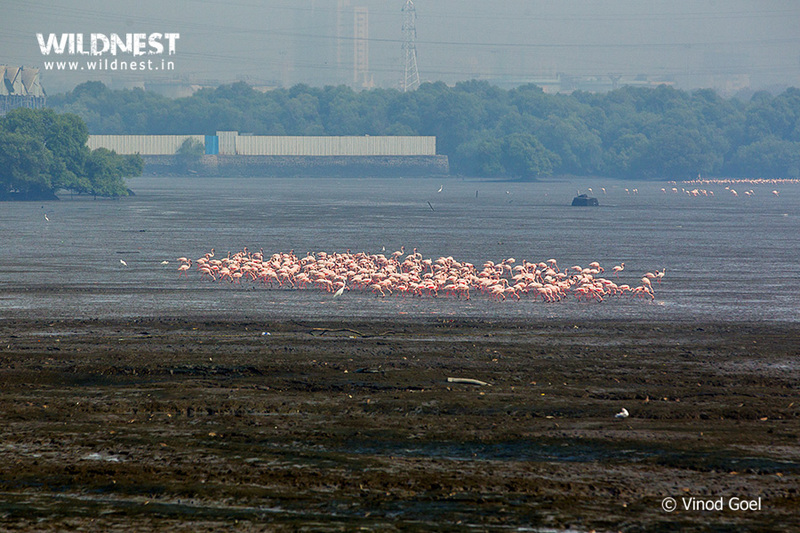 Best time to see Flamingos: Reach Sewri after 1.5 hours of low tide and observe their movement. 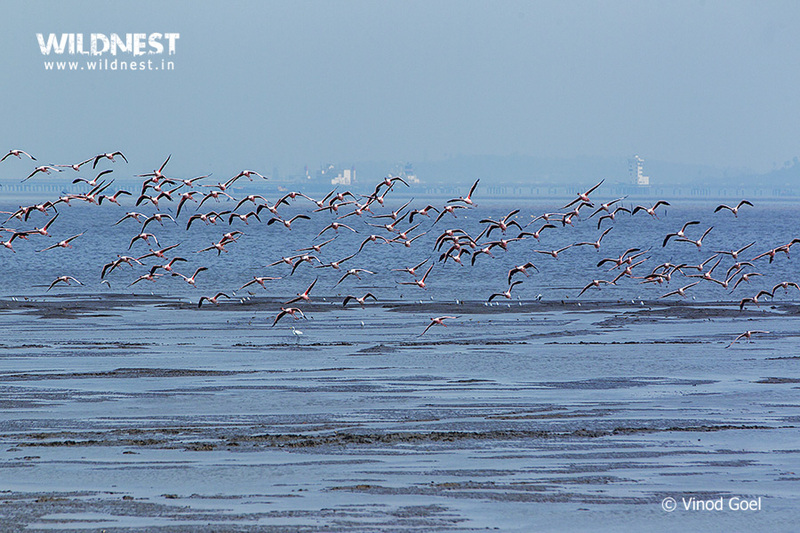 The Flamingos start coming closer to the jetty point where we can stand as the high tide water starts pushing them. 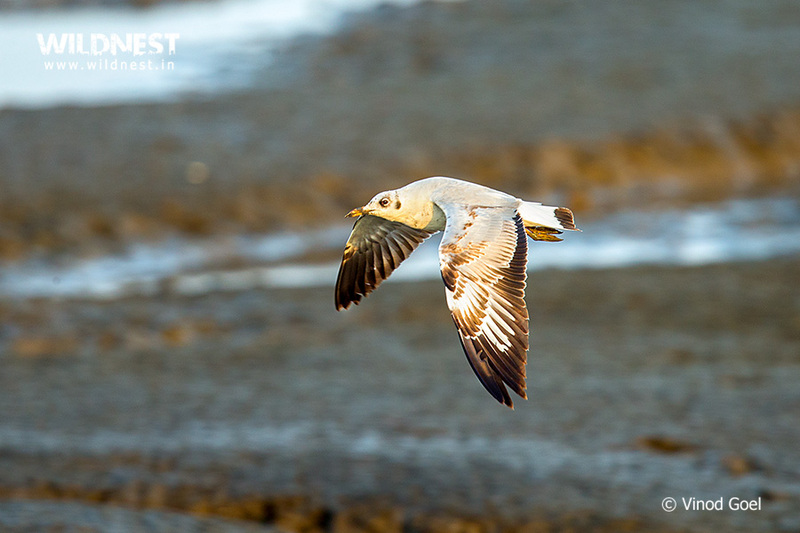 4 hours prior to the high tide, they are closest and then start flying away as the whole area gets filled with water. 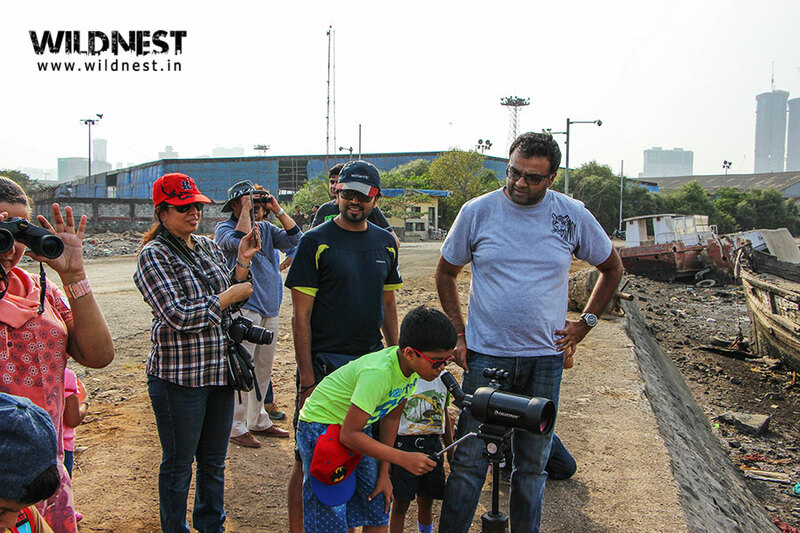 There is no boat ride for tourists at Sewri. 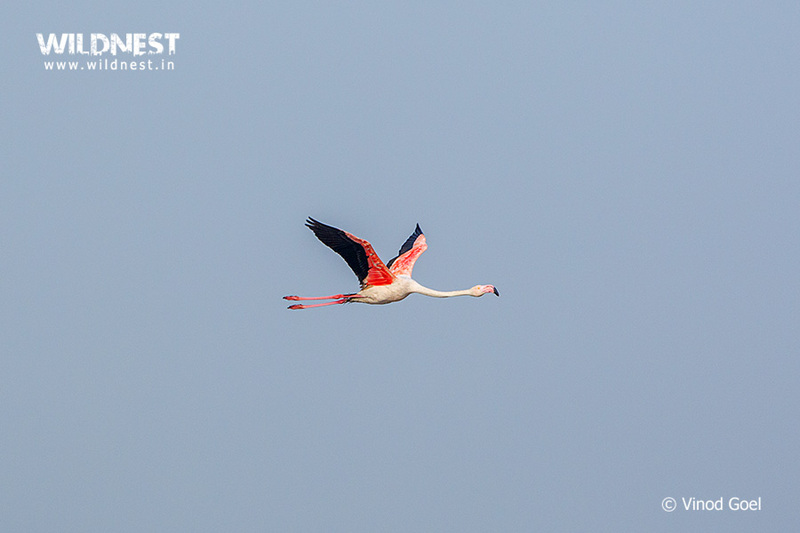 Contrary to the usual belief, that Flamingos are coming from Siberia, they are very much Indian, most of them coming from Kutch, Gujarat. 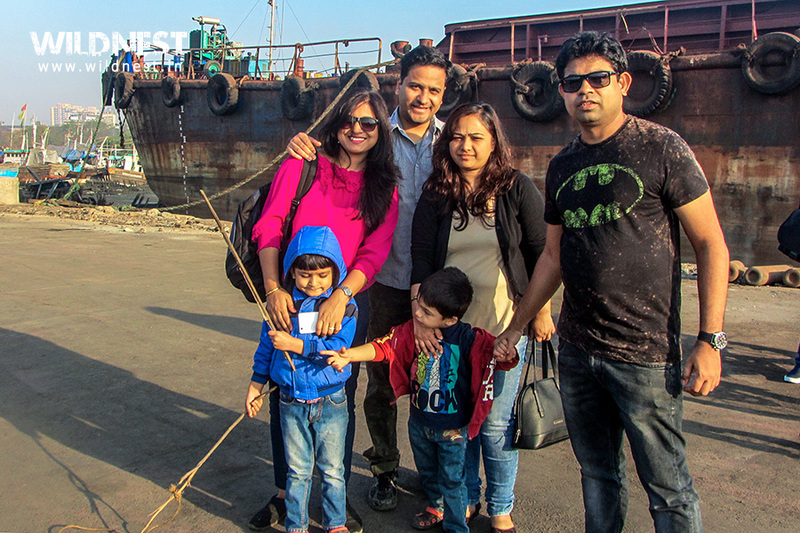 During one of the tours, got a chance to meet well known Environmental Activist, writer and founder of Sanctuary Asia magazine, Sh. 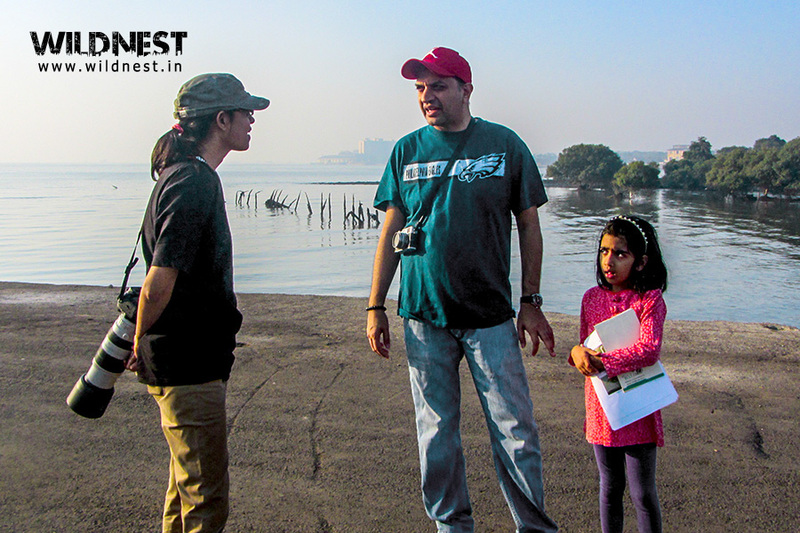 Bittu Sahgal ji along with his daughter, a nature lover. 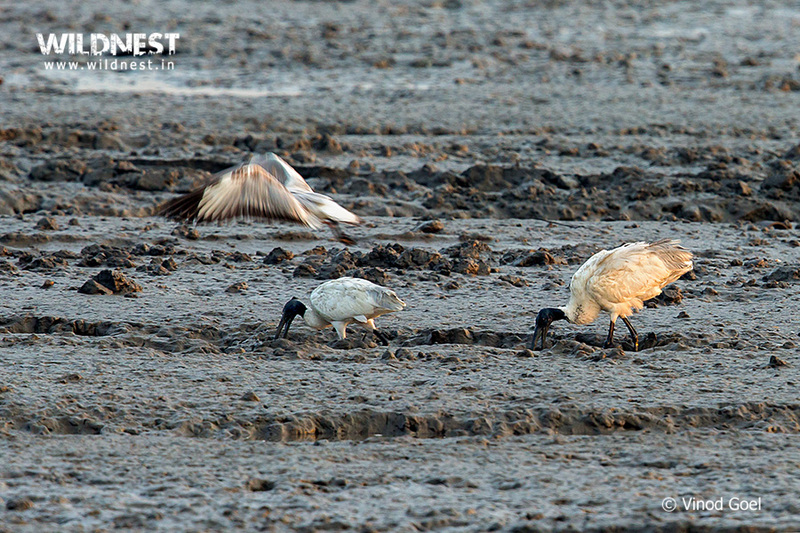 We wish you had a pleasant time witnessing the Flamingos, who had joined us for the trip. 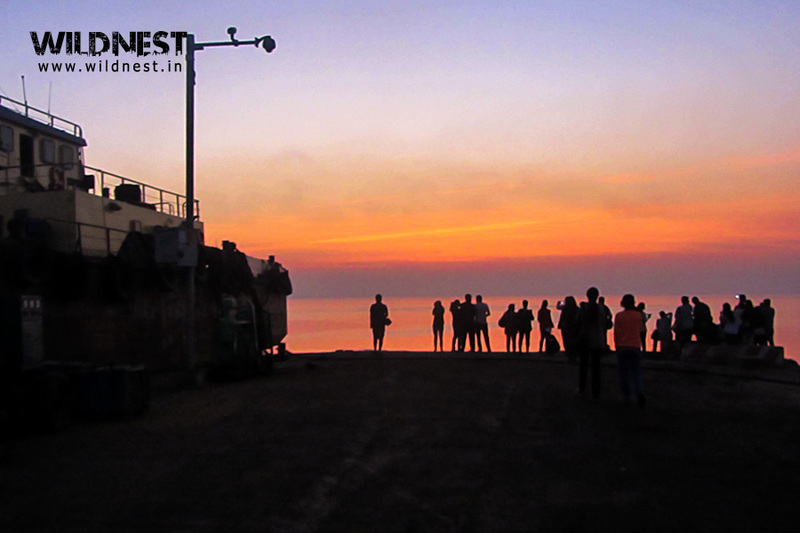 Else, please do join our trip to Sewri, as we look forward to share our experience with you!